The second edition of the Chicago Architecture Biennial (CAB) is the largest architecture and design exhibition in North America, showcasing the transformative global impact of creativity and innovation in these fields. This year’s Biennial features over 140 practitioners from 20 countries addressing the 2017 theme “Make New History.” Artistic Directors Sharon Johnston and Mark Lee have selected architects and artists whose eye-opening creations will invite the public to explore how the latest architecture can and will make new history in places around the world. Leaving from the Biennial Welcome & Learning Center (First Floor Garland Room, 1st Floor South). Tours are FREE, 45-60 minutes and led by volunteer docents; no tickets or reservations required. There will be no public Biennial tours on New Years Eve (Dec 31). The Chicago Cultural Center will be open and you may explore the Biennial on your own. This exhibition, curated by Johnson Marklee, is a display of two dozen miniature rooms that represent a wide array of architecture and style. On level four, visitors can see the work of Berlin-based BLESS, a combination of fashion, art, design and architecture. Expo 72, 72 E. Randolph St.
How can we develop Chicago’s riverfront as a cohesive, connected and active public space? Nine international architecture firms respond with innovative visions for improving Chicago’s river edge. Join us for a special panel discussion with Luftwerk, the renowned artistic collaboration of Petra Bachmaier and Sean Gallero. Explore the displays and installations of the second Chicago Architecture Biennial in the Chicago Cultural Center. 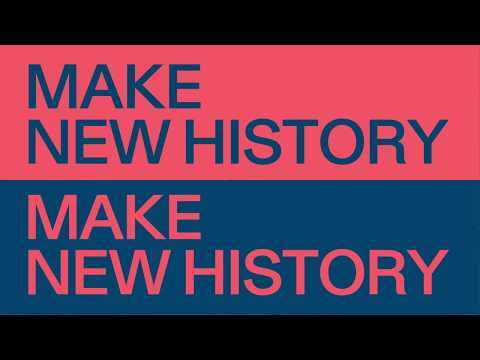 The Make New History exhibition extends to off-site locations and is amplified through six community anchor exhibitions in the neighborhoods and two special project sites – plus installations, performances, talks, films and more hosted by over 100 local and global cultural partners. CAB is presented in partnership with the Chicago Department of Cultural Affairs and Special Events and funded through private donations.